The esteemed Michael Powell Award for Best New British Feature Film went to Writer and Director Nick Whitfield for his debut feature Skeletons which according to the jury ‘best exemplifies Michael Powell in its original vision and dark humour’ whilst a notable mention was made to Edward and Rory Mchenry for their animated reinterpretation of modern British history Jackboots on Whitehall. David Thewlis won the PPG Award for Best Performance in a British Feature Film for his portrayal of unpredictable IRA man Jim McCann in Bernard Rose’s adaptation of Howard Marks’ autobiography Mr Nice. The Projector.tv International Feature Award went to The Dry Land, a family drama directed by Ryan Piers Williams. The Standard Life Audience Award went to Get Low, starring Bill Murray and Robert Duvall. The UK Film Council Award for Best British Short Film went to Daniel Mulloy for Baby. The Moët New Directors Award went to Gareth Edwards for his science fiction film Monsters. The Best Feature Documentary Award went to Director Laura Poitras for The Oath Where she provided a heartbreaking insight into al-Qaeda. 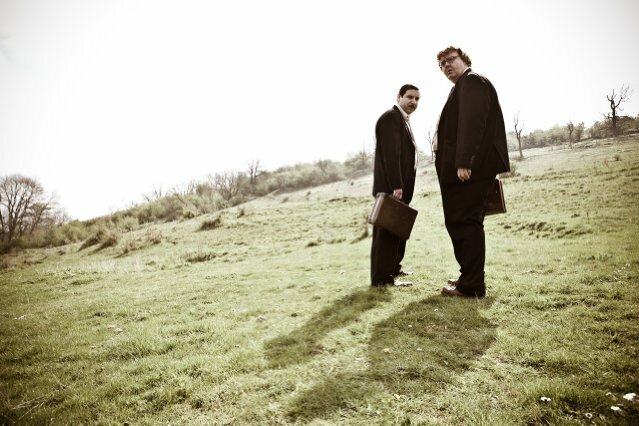 The Best International Short Film Award went top directors Fabio Grassadonia and Antonio Piazza for Rita. The McLaren Award for Best New British Animation went to director of Stanley Pickle, Victoria Mather. Finally, both the Scottish Short Documentary Award and the Edinburgh Short Film Nomination for the European Film Awards 2010 went to Director Anne Milne for Maria’s Way. A thought provoking documentary that delves into one woman’s understanding of the existential and the power of the human mind. Amy Hardie claims she never remembers her dreams but one night she wakes up suddenly after a vivid dream about her horse dying which turns out to be true. This is followed by a dream that in her 48th year, she herself dies. This film follows that year as Amy gets diagnosed with a serious illness and faces the ongoing battle with her consciousness where her dreams seem to point towards a premonition for reality. A student at the Edinburgh College of Art, using simple film techniques Amy allows the viewer to explore her thought processes as they develop and question the validity of the physical against the psychological and the spiritual against the material. Accompanied by excellent animations from Cameron Duguid, the distinction between dream and reality becomes blurred as Amy wonders which possesses the greater authenticity. As a science film maker by profession, Amy approaches the ordeal scientifically trying to explain the phenomenon in terms of neural pathways and seeking the help of neuropsychologist Professor Mark Solms for answers. This film does however falter in some respects, mainly the believability of Amy’s predicament which is sometimes seen as questionable and to those who do not dare to follow the path of mysticism may appear overbearingly fallacious. Also, the film feels rather long for what it is and there is a constant feeling that the piece would be more apt for a viewing in an art installation as opposed to a film festival. Despite this the concept behind the film is very interesting and allows for much questioning of the metaphysical as well as the place of the psychological within the constraints of everyday reality. A devastatingly beautiful look at the effect of the genocidal campaign against the Kurdish people of Northern Iraq led by Saddam Hussein’s Baathist Regime. Son of Babylon follows a 12 year old boy Ahmed (Yassir Talib) and his grandmother Um-Ibrahim (Shehzad Hussen) as they head south in search of Ahmed’s father after hearing that there are surviving prisoners of war now that Saddam has fallen. Along the way they are constantly met with the aftermath of bloodshed, hitching rides and crossing the paths of others sharing equally disheartening histories in an unending journey which offers no consolation. Incredibly moving, Mohamed Al-Daradji’s film illustrates an unrealised Iraq and a subject so easily forgotten by the Western populace shedding new light on an ever persistent horror. Featuring few appearances from American soldiers who are referred to as “Pigs”, it highlights how the major problem of Iraq is not being addressed by the Occident. It shows a mother’s defiance in accepting the truth and a son’s retracing of footsteps from a father he never knew. Continuing his passion for non famous actors, Al-Daradji showcases the superb talent of Talib a striking boy who he bumped into in Northern Iraq and Hussen who herself has been searching 20 years for a husband who went missing and was the only female witness to testify against Saddam at his trial. Both are so convincing in their roles that the result is truly hollowing. A notable mention must also be made to Bashir Al-Majid who plays Musa and briefly offers a father figure for Ahmed whilst himself is plagued by a harrowing past. A truly breathtaking work of cinema with exquisite cinematography, if there is one piece of World Cinema you watch this year, make it this. You can sign a petition here or on Facebook. Kit Hui’s first feature-length film is a haunting exploration of one man’s confrontation with the devastating effects of amnesia.Convincingly acted by Terence Yin who plays the lead character Wei, the audience are faced with the anguish and confusion of a quest into the inexorable. The cause of Wei’s amnesia is never mentioned but this becomes unimportant as instead it creates an emphasis on his character and internal struggle. His search for personal identity with no notion of the context of social norms leaves him struggling against a constant battle of dejection and alienation. Set against the backdrop of Hong Kong’s handover from British rule to the sovereignty of China, although not explicit, a metaphor can be seen where new identity pushes out the old and the possibility of a clean slate is born. We are only hinted at the antecedent to Wei’s life but as mentioned by his friend Andy (Phat Chan) “It’s better that you don’t remember some things”. Being the UK premiere there was a fascinating Q&A with director Kit Hui who was able to illuminate various aspects of the film that appeared ambiguous and explain her motives behind various decisions she made in the film making process such as the accentuation on the background noises which are distinct and unique to the various settings of the piece and draws you in, this combined with beautiful music from the Icelandic band Amiina created an incredibly powerful atmosphere. The film is however slow to get going and requires a certain amount of patience and perseverance but then this is arguably necessary in order for the viewer to become fully empathetic towards Wei. Also it seems to end at quite an unexpected point leaving things unresolved which would be fine although it never appears to be justified. It cannot be denied though that this is a compelling piece of cinema that proves that you do not need a Hollywood sized budget to create a work of art. Much hype has surrounded this film given that it is the opening gala for this years Edinburgh International Film Festival just about completely selling out the 1000+ capacity of the Festival theatre the day tickets were released. Introduced by a short speech from the Artistic Director of the EIFF, Hannah McGill and Director of the film, Sylvain Chomet, the audience were met with an entertaining yet sincere man who claimed Edinburgh to be better than Cannes and emphasised his love of the city in which the film was set. A perfect beginning to the festival, Chomet captured the essence of Edinburgh’s streets, buildings and bridges without ever being too brash focusing on beautiful animation rather than the ever increasing affectation of 3D imaging which often substitutes quality for dazzlement. There is a definite delight in the recognition of Princes street, Arthur’s Seat and the department store Jenners where Chomet conveys these noteworthy landmarks in his own pastiche style. Similar to previous effort Bellevile Rendez-vous, the script contains little to no dialogue instead emphasising actions and expressions to allow for conversation, this is made more understandable by the language barrier present in title character Tatischeff. The film seems to highlight a dejected sense of nostalgia where the emergence of rock and roll bands has meant the incurring end of other entertainers. This is only made more apparent in the amiable naivety of Tatischeff’s child companion Alice who seems to be convinced of the performer’s authenticity and thus becomes the focus of her attention but which falters as she ages and is led to more interesting passions such as boys. However, despite a stunning closing scene there is a feeling that the film is wrapped up too abruptly. It is a story underlined with melancholy but which lacks convincing enough characterisation. Although it was very special and indeed appropriate having the elegant portrayal of Edinburgh there is a wonder that having been set in foreign surroundings it would have lost much of its magical appeal. Tonight marks the opening of the 64th annual Edinburgh International Film Festival. 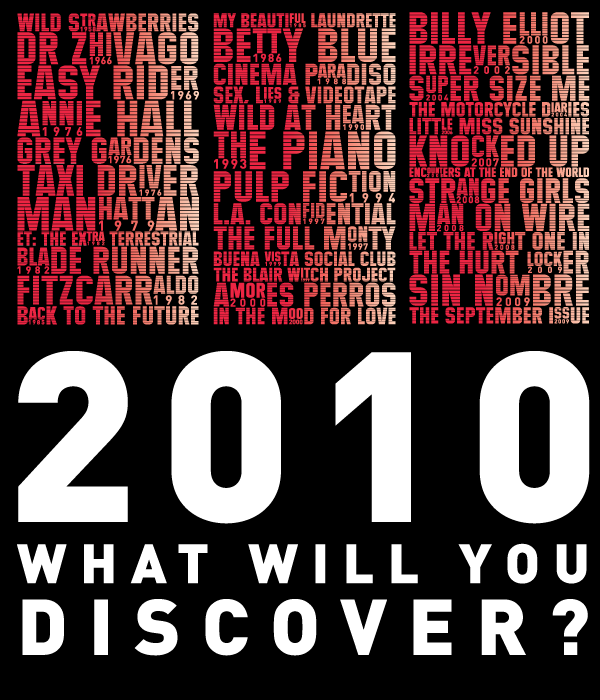 Beginning in 1947 it is the longest continually running film festival showcasing a selection of both international and national productions and seeing premieres of some of the best loved films. 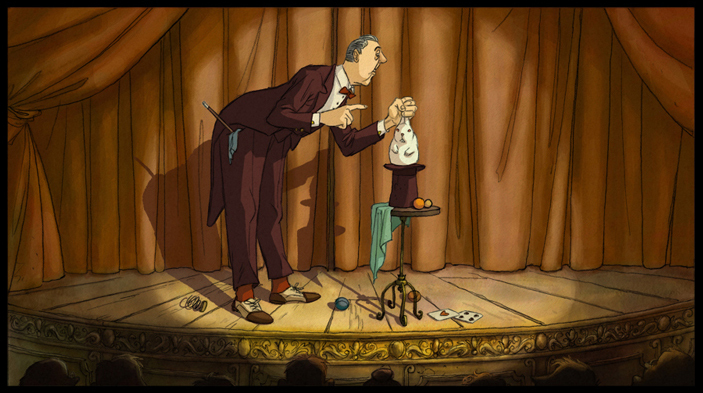 The opening Gala is the much anticipated The Illusionist from French director Sylvain Chomet based on an original script by Jacques Tati and starring an animated version of himself. Chomet was first introduced to the EIFF in 2003 with Belleville Rendez-vous which was nominated for two Oscars (Best Animated Feature and Best Song) and in 2004 Chomet founded the animation studio Django Films in Edinburgh, the setting for this most recent work. The film follows a failing illusionist whose performances are being increasingly replaced by the emergence of rock and roll bands. This leads him to journey from France to Edinburgh in search of shows which he only manages to obtain in the most obscure of places but along the way he meets a young companion who is convinced of his magical abilities thus paving the way for an endearing friendship. The film has been described on the EIFF website to be “Rich with visual jokes, seductive 1950s period detail and breathtaking views of the city and wilderness alike, this is the work of a master in his field – and one of the most gorgeous evocations of Scotland in history”. The President of the Michael Powell award Jury has been named as Sir Patrick Stewart and he will be joined by Bond girl and star of The Wickerman, Britt Ekland, director of Get Carter and Croupier, Mike Hodges, award winning Iranian director, Rafi Pitts and senior film curator of the New York Museum of Art, Laurence Kardish. Other notable personalities involved in the Juries include Jason Isaacs who plays Lucius Malfoy in the Harry Potter films and actor and comedian Ben Miller on the jury for Best International Feature award and Man on Wire producer, Simon Chinn on the Documentary Jury. Further celebrities expected to be attending this evening include Sir Sean Connery, screenwriter Nick Hornby and Ugly Betty star America Ferrera. Unfortunately I am only around for the first few days of the film festival and so am only going to a handful of productions but already judging from the lineup it is looking to be an entertaining festival and I am extremely excited about this evening.